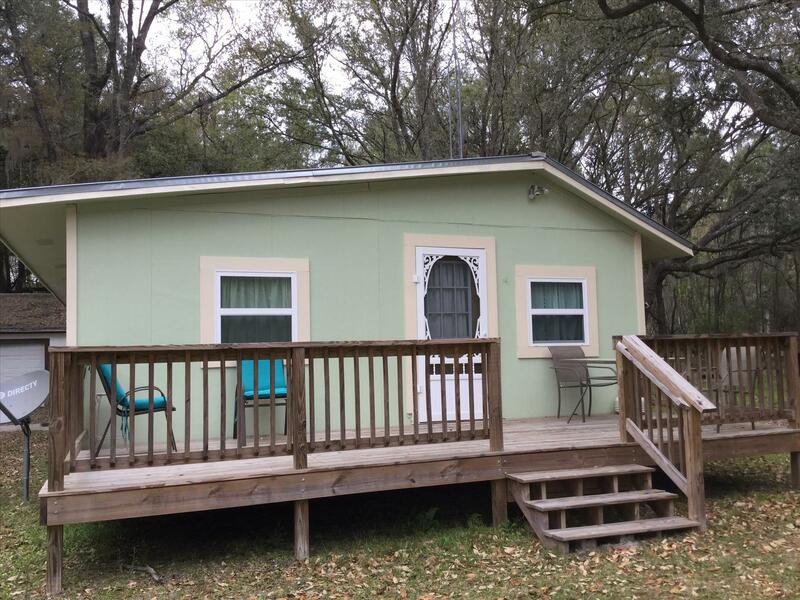 Deer Cottage is a delightful two bedroom, one bath cabin that sits on a forested corner lot that abuts up against the Osceola National Forest. In addition to the deer, the heavy forest canopy provides protection from smaller wildlife, offering more viewing opportunities. 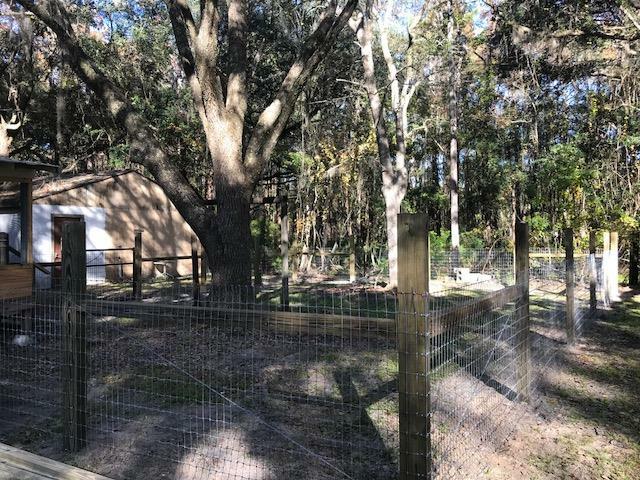 Squirrels, wild turkey, racoons, and the occasional armadillo frequently wander into the yard. We call it, "Deer Cottage" as it's right in the path of the deer as they wander out of the woods to Sonny and Linda's across the street, munching on Linda's delicate roses, and then on down to Sharon's Cabin, where they take in a gardenia or two. The cottage will sleep up to 4 with a two bedrooms, each with beds that can be setup as a California king, or two extra long twins. The mattresses are new in 2017. There's a full kitchen and dining area, as well as a small table in the kitchen. It has a 32 inch tv with direct tv and wireless high-speed internet via Hughes net in the living room, as well as in the master bedroom. It also has several outside sitting areas, including a back porch which is screened in, a front deck that is great for basking in the sun. Spend your summer evenings sitting outside watching the fireflies rise up from the three acre lawn, and listening to sound of whippoorwill in the forest trees. Grab a cane pole that's provided, and dig a can of worms and head down to one of several lakes in the area just wating for you to drop a hook. If you're looking for real country, this is it. Loved it, but need more hogs! Loved it. Told my buddy's with side by sides. Never knew about all the trails.we may want to rent here soon while it's cold and just ride, but the only thing missing for me is hogs. If u get any t...read more. The house was clean, had a nice yard, fire pit, and was very close to the trails. Relaxing place to stay. Owners are amazing! This was just what we needed. Nice, relaxing place away from the hustle and bustle of life and work. The owners are incredible- best communication I've ever had with a rental. Everything you need is i...read more. All went well, Sharon was attentive, helpful and communicative. We appreciate her hospitality. My family had a great time relaxing and walking around in the forest. The cottage is nestled within the Osceola National Forest. The home had everything we needed from new comfortable beds to 4 bike...read more. The cottage will sleep up to 4 with a two bedrooms, each with beds that can be setup as a California king, or two extra long twins. A 40" wide screen TV, wireless high-speed internet, full kitchen. 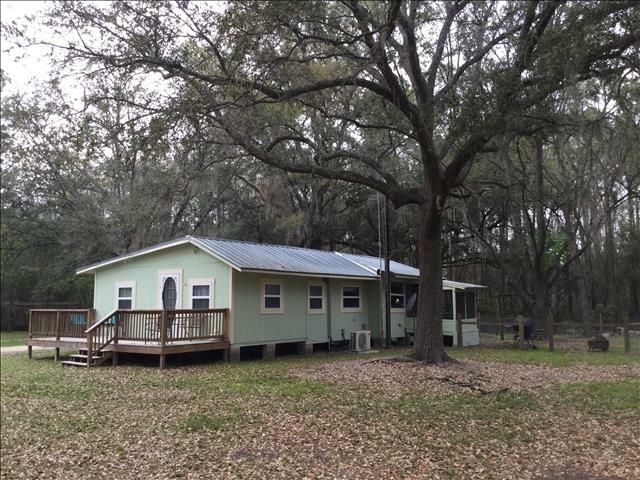 Sits on three acre of land out in the Osceola Forest. Deer visit daily! Pets are welcome for a small fee! We have Direct TV, the second level package, I also have Satellite for internet. We are too far out for cable or dsl. There's also a lot of books for reading. Yes.. some people do still read. We have many of the classics there for you. 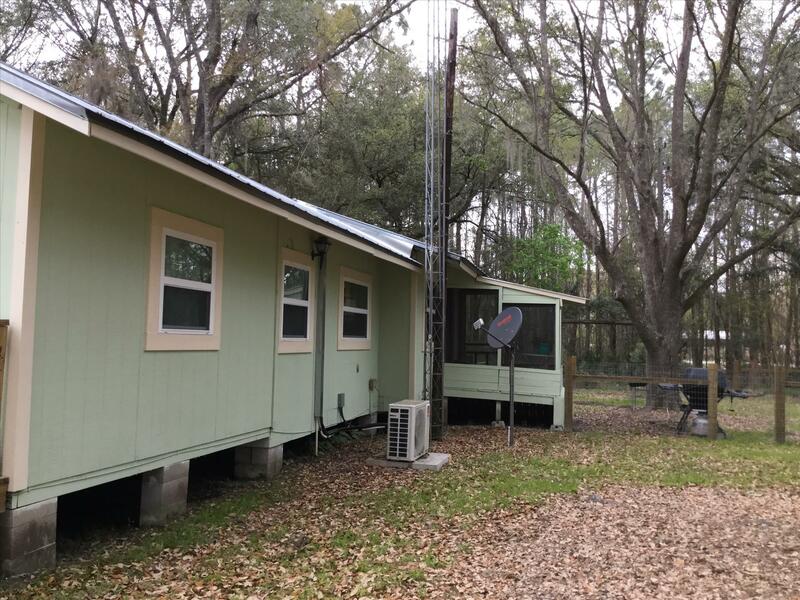 Deer Cottage is Pet Friendly for a small fee, with pets allowed inside for house-trained and a large fenced in area for them to roam outside. Additional damage fee may be required. 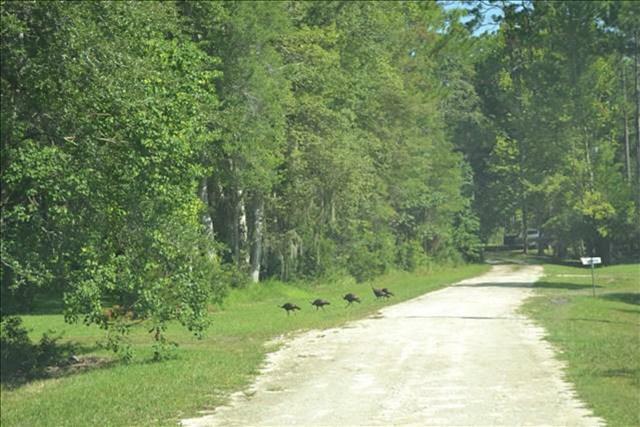 We also have deer viewing.. each morning, get up early, before the sunrise, and make your coffee quietly and go on the screen porch and relax. You're sure to see them slowly grazing on the flowers, stopping, flicking their ears at every little noise. Love country roads? We have 4 bikes, with helmets available for guests at no extra charge. Winter Season, our most popular time is October - May 31, Summertime is hot and lots of mosquitoes, but still a great place to be! 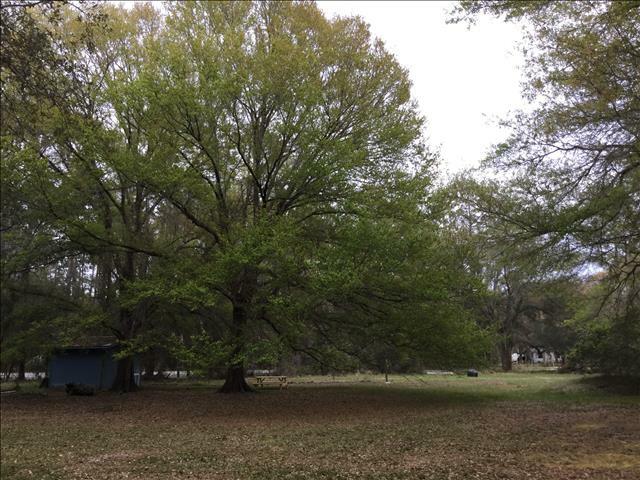 Located in the Osceola Forest, East of Lake City, close to the Olustee Battlefield, 30 miles from Itcheetucknee River, the Santafee, and the Suwannee Rivers. Great for hiking, fishing and tubing the river. If you're wanting to go see the Jags play, it's about 50 miles away, the Gators are about 40, and we even have our own little speedway if you're into racing. Perhaps one of the most popular things to do here is ATVing. 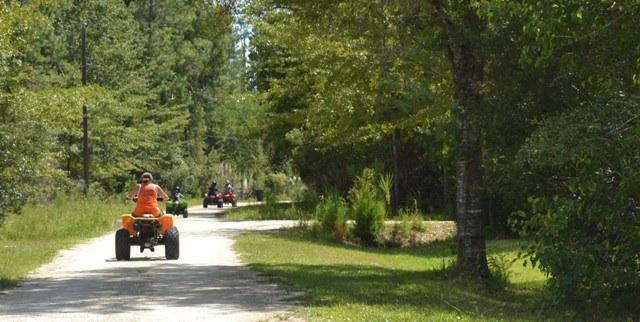 The miles and miles of free atv trails that wander through the forest all around all the cabins. There's also many geocaches hidden nearby.